If you cannot successfully register over the web, please come down to the court where we have registration kiosks available. Thank you. 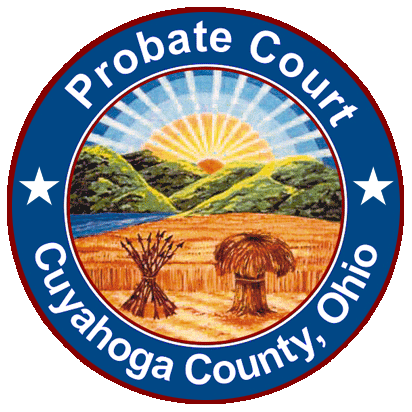 Welcome to the Cuyahoga County Probate Court Marriage License Registration. This web page will allow couples to enter most of the information required to obtain a marriage license in Ohio. All applicants are required by law to appear in the Probate Court to obtain their marriage license. By initiating your application on-line, you are expediting the process. This information is only stored for 30 days. Pursuant to Local Rule 53.1, all pleadings requiring a new case number or the payment of court costs shall be filed by 4:15 p.m. You will receive a confirmation number upon completion of this online process. You must bring that number, a valid government issued photo ID, and the fees necessary to purchase the license to the Court. The marriage clerk in the office will review your ID, ask for additional information such as a certified copy of your final divorce decree or a death certificate, and collect court costs when you appear. Both parties are required to be present at the time of making the application for the marriage license. If either party is a minor please contact the Marriage License Department at (216)443-8920 for further information.